Phantom’s Music is hosting a 12 Hour Acoustic Jam for Haiti on Sunday March 14th in the Stageline Saloon at the Rockyview Hotel. $10 donation will be taken at the door. Everyone pays – even performers – and all proceeds will go to Haiti. Contact Gary Lefebvre at Phantom’s Music 403-851-1273 if you would like to play. It would be great to see some CMS members there performing and enjoying! 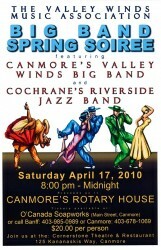 Buy Cochrane Big Band Dance Tickets Online! 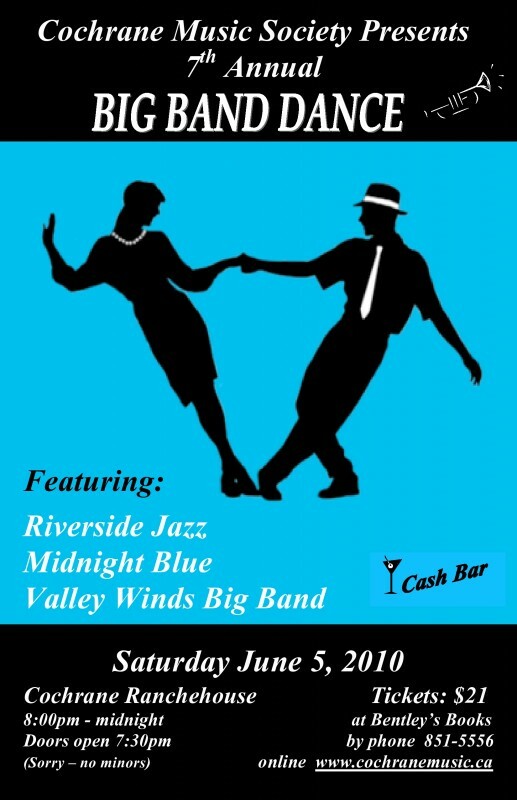 Cochrane Music Society presents their 7th Annual Big Band Dance June 5th, 2010 and now you can buy your tickets online. This event is extremely popular! It’s a night of big band swing, jazz, Latin, classic rock, and maybe even a polka or two. 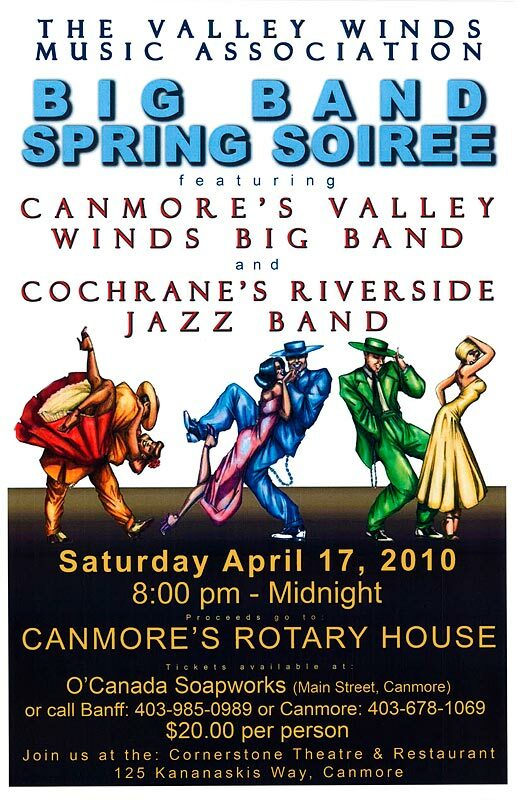 People return year after year to enjoy the enthusiastic players of Cochrane’s own Riverside Jazz, along with Calgary’s Midnight Blue and Canmore’s Valley Winds Big Band. Join us at the Cochrane Ranchehouse on June 5, and be sure to bring a few friends. You’ll be dancing from 8pm to midnight (doors open 7:30pm) with a cash bar, free snacks, and comfortable tables to rest up between dance sets. Tickets are $21 and are also available from band members, at Bentley’s Books in Cochrane, or by calling (403) 851-5556. 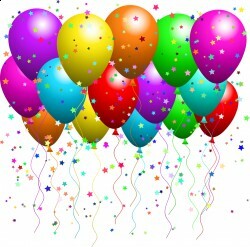 Welcome to the new Cochrane Music Society website! This is the new home of CMS information – where everyone can learn about our great community music program and concerts, obtain our registration information and contact us. Communication for members is much improved as they can read the latest news and check the calendar for rehearsals and events. Want the latest news post delivered to you directly? Subscribe by email over there in the sidebar. Folks who want to keep up to date using RSS can subscribe by clicking on the RSS icon in the top right corner. And there is more to come… Soon the photo gallery will start to fill and we will continue to add a few more pages and additional content. We’ll also be doing some more tweaking and making visual improvements. So “leaf” through the pages, try out the links to our community band and choir friends, click on items in the calendar for details and Choose Your News to read posts related specifically to your ensemble. You can even reply to individual news items like this one. (use Leave a Reply at the bottom of this post). Be sure to let us know if you have pictures of past CMS events, news of other community arts events or other links to add. We will put them on.